So you would like to prepare for IAS Prelims Exam in 2 months. Preparing for Prelims is an important facet when you aim at cracking the UPSC exam in order to join the IAS. Besides, it is only natural for most of the candidates to think of that actually how long it would take to prepare for IAS Prelims Exam. Well, there is no definite answer to that. The shortest possible time span required to prepare for IAS Prelims exam usually varies depending on a number of factors. Most of the candidates who begin with IAS Exam Preparation come from various academic and professional backgrounds. Besides, a considerable number of them may be already employed whereas this might not be the case with many others. And that is not all. Most of the candidates get themselves enrolled in IAS coaching institutes. Others opt for self study. Keeping all of the factors stated above in mind (there may be many more as well), it is only logical to say that the actual time required to prepare for IAS Prelims exam varies from one individual to another. All the questions are MCQs i.e., Multiple Choice Questions. A provision for negative marking i.e., 1/3rd is carried out. The point to be noted is that C-SAT (Part II) must be qualified by the candidate scoring at least 33% marks so that the General Studies (Paper I) is evaluated. (i) What are the Subjects under UPSC Prelims General Studies Paper 1 Syllabus? The main features for both, General Studies (Paper I) and C-SAT (Paper II) are given below for the ease of the candidate. The paper carries objective type questions. The maximum marks are 200. The time duration that UPSC allows is 2 hours. As already given above, the General Studies Paper I comprises 7 subjects and carries 200 marks. The candidate, by no means, should be entertaining an illusion that all of the 7 subjects would be carrying questions in a manner that 200 marks are divided equally among all the subjects. It is very possible that UPSC asks more of questions on one subject and fewer ones on others. As a result, the candidate may be surprised (even to his dismay) when he finds that one or two (or as the case may be) of the subjects out of the 7 subjects in the syllabus, may carry a greater weightage of marks than the rest. So it is advisable to make a thorough preparation for all of the 7 subjects. It would not make any sense to lose any of the marks if even one of the subjects out of the 7 is left unprepared even slightly. The General Studies Paper II is the C-SAT exam. The paper carries objective type questions. As already said earlier, it is the qualifying exam. The maximum marks are 200. The time duration that UPSC allows is 2 hours. As already said above, the C-SAT Paper II is a qualifying exam. So the candidate must clear it. As the list of the subjects given above shows, the CSAT qualifying exam actually tests how analytically the candidate’s mind functions. As the UPSC syllabus for GS (Paper I) of Prelims also overlaps (though partially) the GS portion of the Mains, it is only advisable to prepare for the Prelims with a sincere focus. However, no candidate should forget that the same topics would need to be prepared for the Mains in greater details. Whatever you have studied for the topics (that overlaps partially for Prelims Mains syllabus) for the Prelims is not likely to suffice for the Mains. 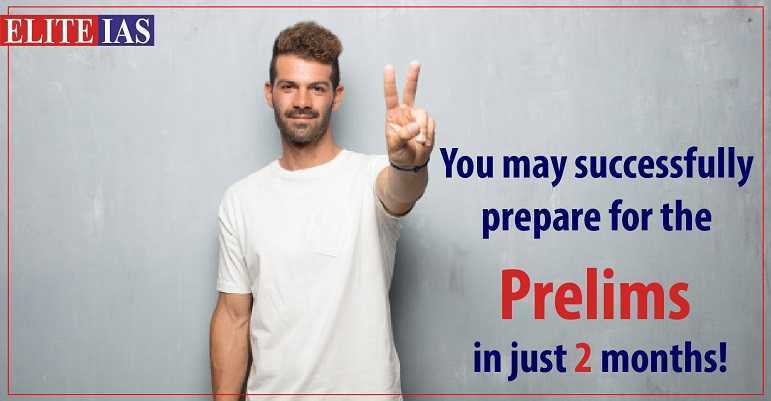 What’s more, as you aim to prepare for the IAS Prelims exam in 2 months time only, the UPSC exam preparation tips given below would not only allow you to do so, but would also help you crack the Prelims in one attempt only and you might find yourself filling the DAF, the Detailed Application Form and moving ahead with the preparation for Mains. 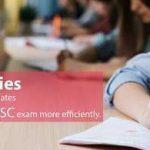 Here are quite a few useful UPSC exam preparation tips that would help the candidate not only to prepare for IAS Prelims exam, but also to go ahead with IAS exam preparation more confidently. When a candidate co-relates his answers with all the inter-related aspects, it not only brings out his writing skill, but a sharply analytical mind. Besides, it throws a very bright light on his administrative skills. And you aspire to join the Indian Administrative Services! Contemplate a little more on what has been said above. When you co-relate your answer, e.g., when you answer a question based on the current affairs, with the historical background, if any, of what has been taking place just now, it only serves to present your analytical skills in a very bright light. Besides, when you analyze the current events relating them to the impact they might leave on the society at present or even what might be impending in the future, it further presents your potential for being a good administrator. It is so because the ability to co-relate helps you understand the problems and issues of the society and the nation at large that you are supposed to administer after having cracked the UPSC exam successfully. Most of the times, a candidate may try to go ahead with the preparation for the exam without having cleared the basic concepts for the topic of the subject that he has been studying. In that case, whatever you study further is not likely to make much of the sense, and it would result into a waste of your time and effort whereas you aim at preparing for the Prelims within 2 months time only. Reading the NCERT books would be a good step to clear the basic concepts. Whatever you read to prepare for the exam must not only be authentic but as per the UPSC syllabus. For example, in order to get a thorough knowledge of the current affairs, it would not make any sense to read any newspaper, a majority of the candidates opts for The Hindu. Reading the relevant Year Books and listening to the News Bulletin may also help. Remember that you aim at preparing for the Prelims within two months only. Besides, it would be futile to raise a heap of study material on your table in case you do not have sufficient time to read it thoroughly. So, by all means, it only makes more of sense to collect only the study material which is relevant as per the syllabus of UPSC and focus reading that sincerely. Making frequent revisions is one of the most practical UPSC exam preparation tips. Besides, what is the use of preparing for the Prelims for two months if you forget most of what you study. So making multiple revisions would help you retain in your memory whatever you have been preparing. Taking care of your health is highly important. Besides, sleep for 8 hours every day. How else are you going to study if you feel like yawning all the time? And above all, remember that you aim at joining IAS and be a good administrator. So you must administer yourself first! Stay relaxed. When you are cool headed, calm and quiet, you are better able to feel more poised and confident. Believe in yourself. And stick to your daily routine giving yourself reasonable time every day to study and revise and also to eat and sleep on time for it will provide you with enough stamina to study again for the next day. And you should follow the time table that you might have charted out for yourself for two months as you aim at finishing with the preparation within that time.